A few weeks ago I was shopping with some gal pals and came across velvet pumpkins in a store. 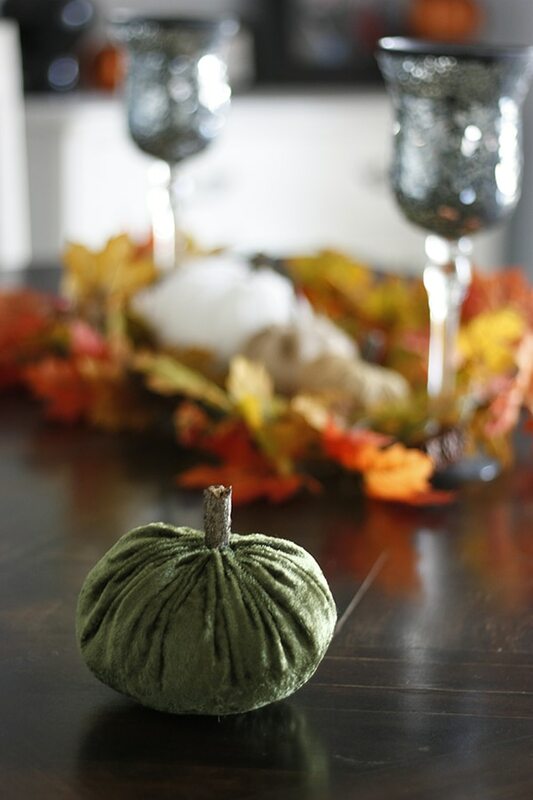 I loved the colors and texture of the pumpkins and knew they would be the perfect autumn accessory for our home. But I couldn’t believe the price! I did a little research and found Crushed Panne Velvet for less than $5/yard! With just a few items and about 30 minutes of your time you can make these gorgeous DIY velvet pumpkins for your home too! With just a few items and about 30 minutes of your time you can make these gorgeous DIY velvet pumpkins for your home too! Cut circle out of the fabric. I traced different circles to get different size pumpkins: a lampshade, a plate, and a lid. With a 1/4 yard of fabric you can make 3-4 pumpkins with each color. 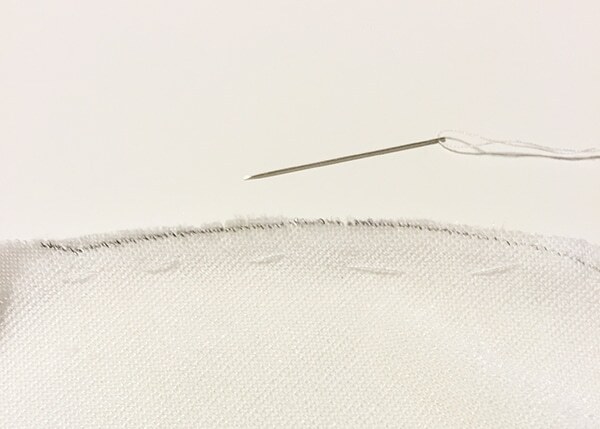 Make a straight stitch around the circle. Stuff with the poly-fil and tie shut. Insert a twig in the opening to create the stem. I used the stuffing from and old throw pillow I had and you could easily use rice or beans for filling. It would give them a little more weight, but mine turned out just fine with the poly-fil. 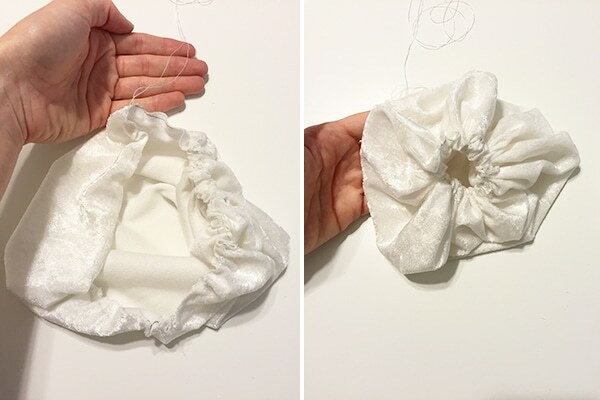 The hardest part was tying the thread after you gather it. I also tried to make a few burlap pumpkins. They didn't turn out nearly as pretty as the velvet ones. When you try to gather the thread on burlap it pulls loose and basically falls apart! I was able to salvage 2 of the burlap ones but they look a little funny. I put them in a corner 😉 These could easily be made out of so many different materials; I think next time I will try old sweaters! The texture would be beautiful. Note: I've seen these with real pumpkin stems. You could go buy a pumpkin patch and ask for broken stems; I just thought it was easier to grab a few twigs from the yard. You would need hot glue to attach those. Your pumpkins are so cute! I love them. Very creative. I pinned those cuties, too. Those are really pretty and so unusual! It’s neat that you found a way to make them yourself. These are so cute and the choice of fabric and colour is perfect. These are so charming and sophisticated – Pinned! I love these pumpkins. The velvet is great! These are really super adorable! Amber I can honestly say that this is the best tutorial for making these gorgeous velvet pumpkins. I love how you explained things so clearly. 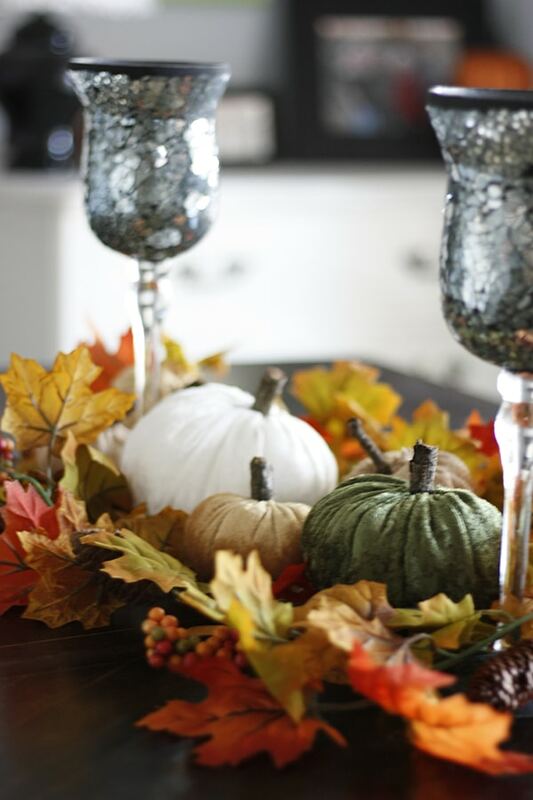 I also love how they turned out and how you created such a gorgeous centerpiece using them. Totally my style! Off to share! I love velvet pumpkins. I really should make some one of these years! 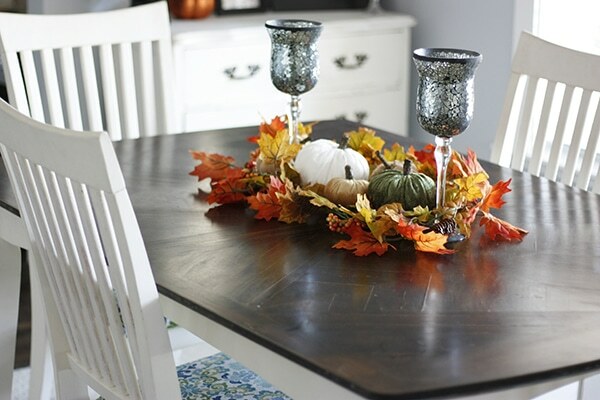 I love this idea, cute fall craft! They look luxe on the table, so pretty! What a neat idea! Great photos! Hi Amber: I saw your Hometalk Live video tutorial on Facebook earlier this week and was inspired to make some pumpkins using old sweaters instead of velvet. I hope you’ll take a look at them: http://www.createdbyv.com/sweater-pumpkins . They are adorable and made me excited for the new season! Thanks for a great idea, Amber!